“Claudette” – In memory of Claudette Colvin who refused to give up her seat first, and was erased from mainstream history. 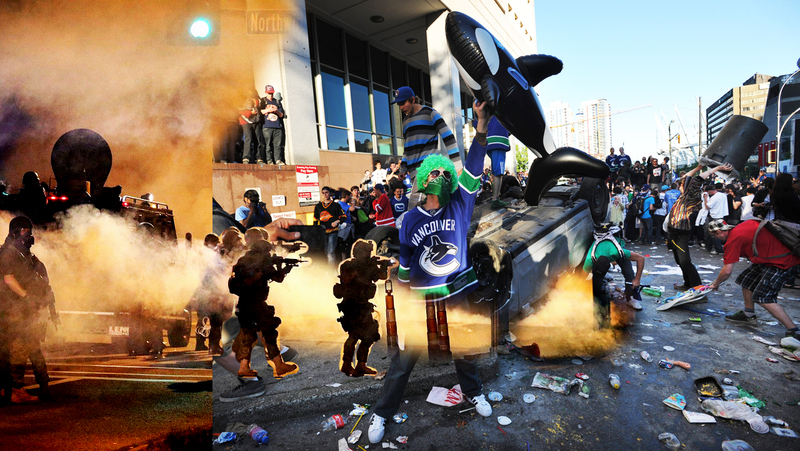 “Encroaching” – Police from Ferguson encroaching on rioters in Vancouver after the Vancouver Canucks lost the Stanley Cup. 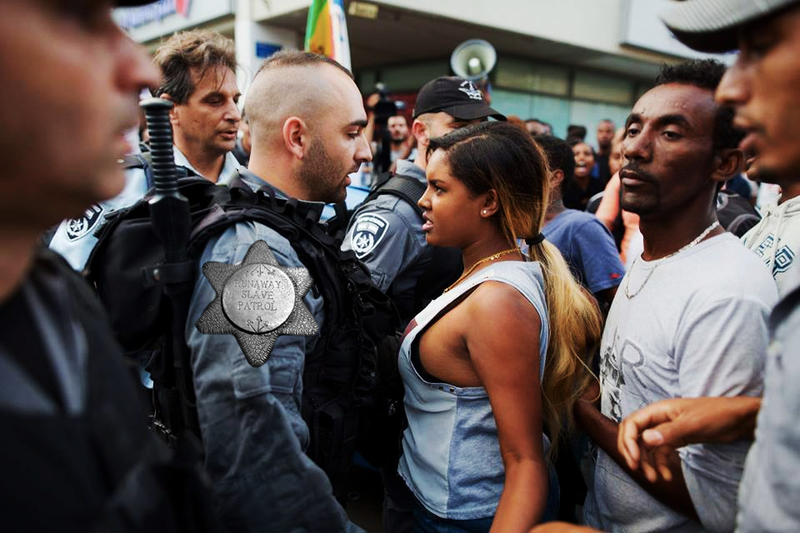 “New Patrol” – Drawing ties between the modern police and historical slave patrols in the United States.